If, like me, you love orchids you will not want to miss the largest ever display of Britain’s favourite indoor plant at the 2018 RHS Chatsworth Flower Show. 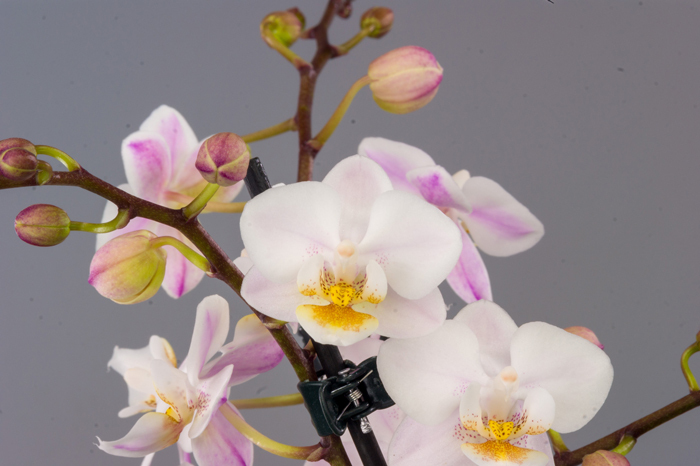 Victorians were obsessed with these beautiful blooms and in a nod to their so-called ‘orchidelirium’, over 5,000 British-grown moth orchids will take centre stage at this year’s show in the largest display of its kind. 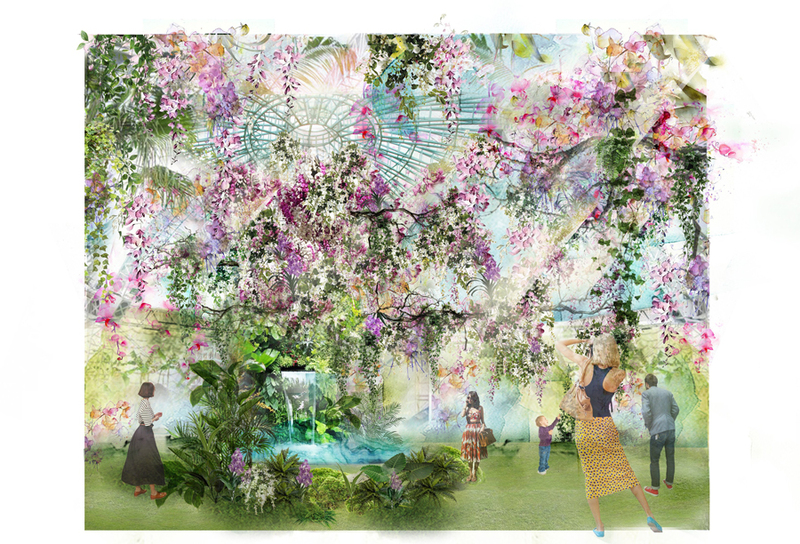 Orchids of every description will fill a 21st century version of Chatsworth’s Great Conservatory – originally built by the celebrated Joseph Paxton in the Victorian era – in an immersive floral extravaganza. Large contemporary chandeliers will be suspended over the space dripping with vibrant orchids, mosses and tropical bromeliads. The exotic orchid blooms, in a wonderful palette of lilacs, purple, pale and cerise pink, through to exquisite whites, will also adorn a central waterfall, as well as showcase plinths around the exhibit. 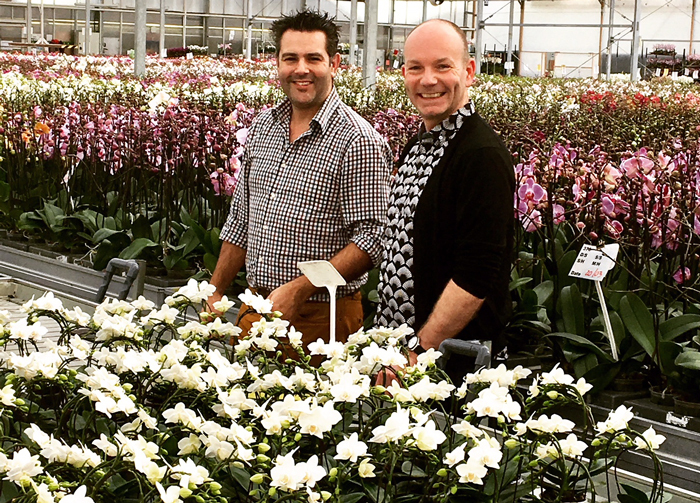 Hampshire based orchid grower Double H Nurseries are teaming up with celebrated floral designer Jonathan Moseley for the RHS exhibit that will see over 100 varieties of the popular Phalaenopsis orchid (pronounced Fal-en-op-sis) also known as the moth orchid. During Paxton’s stint as head gardener at Chatsworth, the Estate boasted one of the most extensive orchid collections in the UK. At the time this was a trend for the wealthy with orchids often changing hands for thousands of pounds. This display is certainly going to be some exhibit. Twenty florists from across the country will be helping Jonathan build the display including apprentices from the floristry college in Sheffield. There will also be leading floristry workshops and demonstrations during the show for visitors. A Virtual Reality experience, created by 3D expert and VR designer Simon Mabey, alongside Manchester Museum and Manchester University, will immerse visitors further in the tropical RHS Chatsworth display as they ‘sit’ suspended among the flowers, experiencing the wonder of different orchids through the eyes of an insect. As someone who has grown orchids for several decades, the news that the RHS, Jonathan and Double H Nurseries were teaming up to provide a special orchid display at Chatsworth was welcome news. 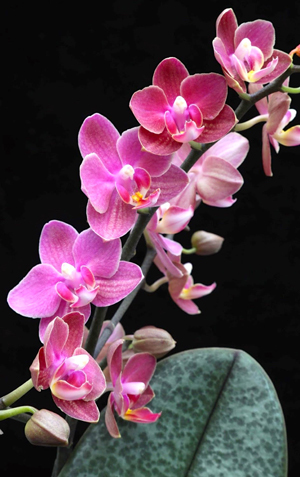 I am certainly looking forward to seeing and smelling the new scented Phalaenopsis, thanks to Double H Nurseries who have combined beauty with fragrance. 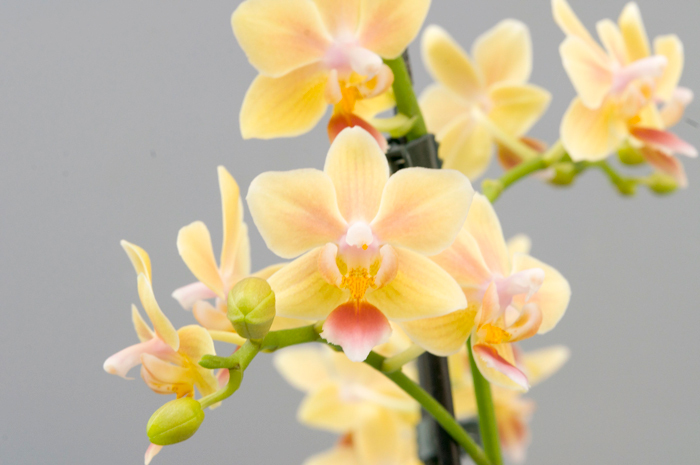 Their new varieties Diffusion, New Life and Sunny Smell will make their way into major retailers and to track them down, shoppers can look for ‘scented orchid’ stickers on the retailer own-brand packaging. These three new scented varieties are set to appeal to those who love perfume in their home as well as dramatic and colourful flowers. Diffusion has beautifully rich pink’ purple petals and has been awarded the RHS Award of Garden Merit** (AGM) and is new for 2018. Sunny Smell (above) boasts a profusion of petals in a cheerful yellow – it was shortlisted for RHS Plant of the Year when first unveiled at the RHS Chelsea Flower Show in 2016. It has only been available in limited supplies since its launch but this year it will be more widely available. In addition to the Chatsworth exhibit, scented moth orchids from Double H Nurseries will be among the beautiful flowers featured on Jonathan Moseley’s British Flower Bus which will be stopping at RHS Chatsworth 6th – 10th June and BBC Gardeners’ World Live, 14th – 17th June, as well as at other RHS Shows at the various RHS Gardens.